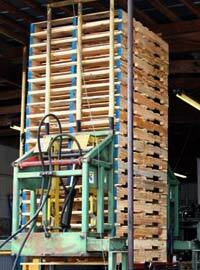 Phoenix Wood Products is one of the largest new pallet manufacturer’s in the Southeast. We provide quality pallets at competitive pricing and we pride ourselves on our excellent customer service. We can design and build any size pallet. Custom pallets are our specialty. We manufacture both pine and hardwood pallets. 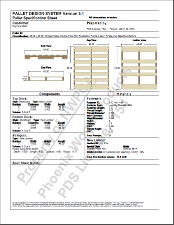 Phoenix Wood Products is certified to manufacture heat-treated pallets, crates and dunnage wood that meet ISPM-15 requirements. We are your export specialists. 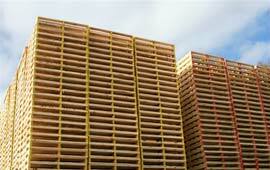 Phoenix Wood Products is a member of the National Wooden Pallet and Container Association (NWPCA). As a member, you can rest assured that we are current on the lastest manufacturing guidelines and industry news. Our logo isn't the only thing that's green! It is our belief at Phoenix Wood Products that we all need to be good stewards of the Earth. With this in mind we recycle all our wood waste.